As examples of the ancient, advanced civilization of now-sunken Pacific Ocean continent of Mu, James Churchward lists some megalithic ruins in the South Pacific to support his assertion. …On some of the South Sea Islands, notably Easter, Mangaia, Tonga-tabu, Panape, and the Ladrone or Mariana Islands, there stand today remains of old stone temples and lithic remains which take us back to the time of Mu. “Lost Continent of Mu Motherland of Men”; page 21. James identifies twenty-one such ruins built by the people of Mu across the Pacific and the Yucatan. The size and weight of the component stones used in these monuments when coupled with the proposed antiquity immediately begs the question, “How could a primitive people accomplish such a feat?” Some even suggest the feat is impossible today given our advanced technology. Either Aliens or Giants helped or they had some special now-forgotten technology to get the job done, depending on the snake oil they are selling. Everyone is familiar with Moai of Easter Island, the enormous monolithic stone statues spread out across the island. More than 900 were created and the tallest of these is thirty-three feet high and weighs 82 tons. A few years ago, some scientists got together and demonstrated one method of moving them as shown in the following video. It was estimated the Moai could have been moved into position in two weeks. That may work for some of these enormous statues, but how could they move and place the blocks in evidence on the other islands? One fact never mentioned is Megalithic cultures still exist and they still move enormous blocks today. 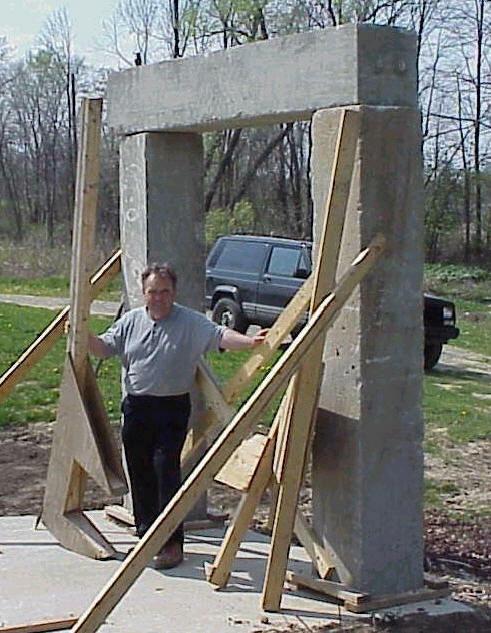 We have evidence people can move the enormous blocks of stone, there is no physical evidence of Aliens, Giants or special machines to move large blocks of stone. Now some will say these primitive people didn’t have the manpower to accomplish these tasks, so it had to be something else, like Aliens, Giants or special now-forgotten technology. Alas, these people forget to mention Wally Wallington. 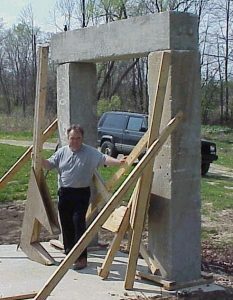 Mr. Wallington (website: http://www.theforgottentechnology.com/) relates incredible feats including moving a 15-ton pole barn 200 feet with only 40 man-hours of work and starting a replica of Stonehenge with eight ten-ton blocks and 2-ton blocks on top, alone. Not to be outdone, Gordon Pipes, another carpenter, demonstrated one more method to move twelve ton blocks without hundreds of people. Why would someone word the question in this manner, especially to use the word ‘primitive’? Is there some bias preventing us from acknowledging others to be superior in some respects; to have knowledge and/or skills we do not yet possess? We are all one big human family and to think any particular segment is superior to another and has nothing to learn from their relatives sounds a little silly. We are all on this planet together; the self-imposed barriers preventing people from realizing our shared human existence and working together for the good of all people shows maybe we are the ‘primitive’ ones, and not our forebears who worked together to create lasting monuments to the solidarity of their people. This entry was posted in Ancient Relics, Rants, Sunken cities/ruins. Bookmark the permalink. Surely Coral Castle is one of the Muvian ruins!